A project contracting company, China CAMC Engineering Limited is set to partner Anambra State in four key sectors of development. 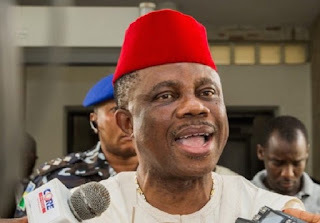 A delegation from the company and some finance partners facilitated by the United Nations Industrial Development Organisation (UNIDO) revealed this during a courtesy call on the Anambra State Governor, Willie Obiano. Leading the delegation, the Managing Director of the company, Mr Yu Tao, expressed their interest to partner the state in the sectors of agriculture, power, health, as well as oil and gas. He promised that the company would support Anambra State in areas of staple food processing and agricultural mechanisation. Mr Tao also highlighted the construction of airport and other transport system, where they intend to engage in intercity and inter-state rail projects. He said they were convinced that they made the right choice by coming to Anambra State with the level of development they saw in the state. Governor Obiano on his part welcomed the partnership interest of the group, especially in the area of oil and gas, as well as power. He assured them of security, saying that his administration has made great efforts to ensure that investments and business ventures in the state thrive under a very conducive atmosphere. The Governor further sought their partnership in the development of water transportation and creation of Export Free Zone in the state. While he promised that his government would play its part to ensure that the deal was struck soon, there were exchange of souvenirs and group photographs to seal the meeting.